Tired of the endless spreadsheets? The ones where a single wrong number could set you back hours of mind-numbing work? Good, because we are, too! HIPAAEx has developed HIPAAVisor™ to simplify your compliance efforts, identify potential threats and help you determine where your security funding should go next. HIPPAVisor™ offers a cybersecurity disaster simulation tool that allows our team to run a hypothetical cyber attack against your operation and determine the pitfalls of your current strategy. Risks exist outside of simple HIPAA compliance - and we are here to identify those risks, defend against them and allow you to achieve true cyber-resilience. Consider "hiring" HIPAAVisor™ as your 24/7 automated, cyber risk officer. 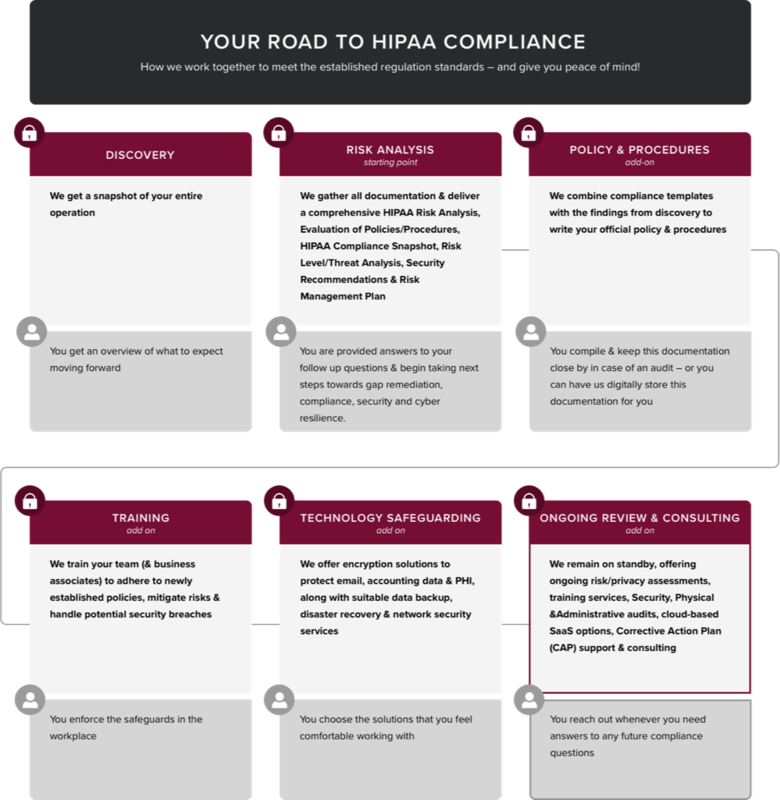 This cost-remediating solution is designed to spell out the demands of ever-changing HIPAA compliance and offer actionable advising as you move forward, fully protected. How is it done? That's where the magic really happens! We use AI to combine technical indicators, statistical research, big data analytics and more to give a comprehensive HIPAA compliance snapshot. Gone are the days of manual spreadsheets and endless checklists. Now is the era of smart automation and decreased human error! For more information regarding our cyber risk management solutions or to try a demo, get in touch with HIPAAEx today!